When school budgets are cut, music is one of the first subjects tossed out the door. It shouldn’t be. 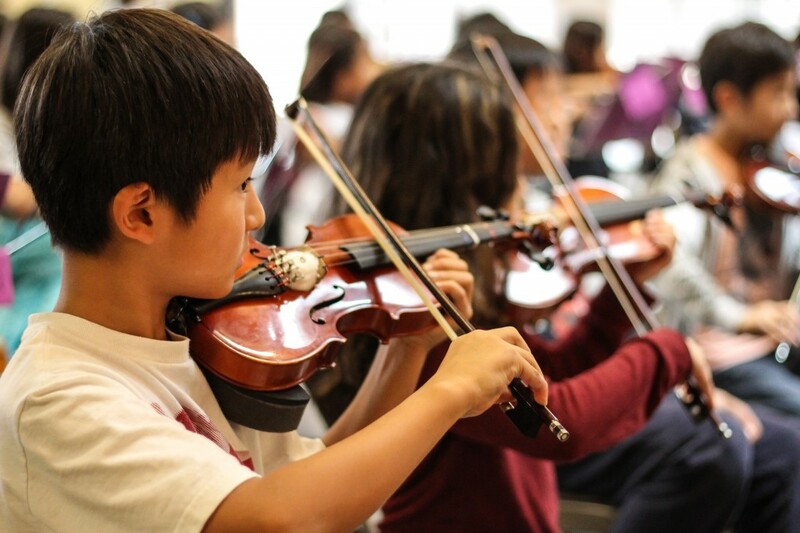 Scientific evidence supports the notion that music provides an exceptional number of benefits to students. This includes enhancing their think process and the amount of information they can retain when studying, as well as helping to improve speech and vocabulary, amongst numerous other benefits. Parents, music teachers and concerned citizens may feel like there is nothing they can do when budgets begin getting cut and music programs are depleted, however this is false. There is actually a number of things individuals who understand the importance of music in the classroom and want to keep it there can do when these cuts are threatening the instruction. Fundraisers can greatly benefit the music program at the local public school. Before you begin a fundraiser, be sure to ask the music department what items they need or the amount of money they need. Be creative with your fundraisers to attract more people. Ideas that could be of interest to you for a music-themed fundraiser include carnivals, cake walks, band performances and even potlucks or ice cream parties. You may even consider hosting a yard sale to raise funds. Who doesn’t love a good sale? The endless ways of raising money for the school’s music system can really help if everyone does their part. There are certainly many music and music inspired businesses in the area, and these stores may be willing to donate music equipment, instruments, supplies or even money if you explain what you are trying to do. A little bit of time could make a tremendous difference. There are many well-known music programs that work to help public schools keep music a choice in their curriculum. VH1 Save the Music is one of the most popular. Many other public school music programs are also available, and you can support any of them that you choose. Do be certain to check for programs local in your area. Starting a petition to save the music program at the school may be of help. It is easy and can be done online in a matter of minutes. A petition, with enough signatures, is a worthwhile endeavor that can turn the minds of the school board around. One of the reasons that it is music that is often cut from school budgets is due to the lack of student participation and interest. If the school is aware of how important music is to you and the students it is less likely to face such great cuts. As you can see there is certainly numerous methods of helping out your public school’s music programs. If you are concerned and want to ensure children get one of the greatest gifts available to them, use one or more of these methods and do your part.